E.C. 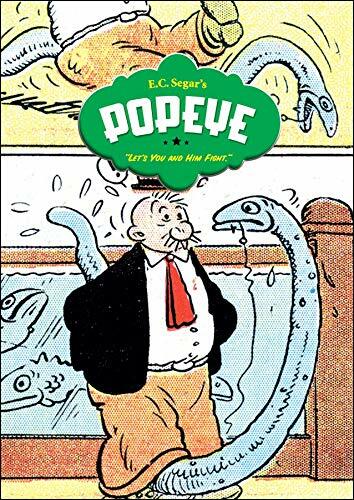 Segar (1894-1938), creator of Popeye, is a member of the Will Eisner Awards Hall of Fame. He was born in Chester, IL in 1894 and passed away in his longtime home of Santa Monica, CA. The National Cartoonists Society created the Elzie Segar Award in his honor, which was awarded annually to a cartoonist who has made a unique and outstanding contribution to the profession. 1. Let's You and Him Fight! 2. Popeye, Vol. 3: Let's You and Him Fight! 5. Popeye, Vol. 3: Let's You and Him Fight! 7. Popeye, Vol. 3: Let's You and Him Fight! 8. Popeye, Vol. 3: Let's You and Him Fight! 9. Popeye, Vol. 3: Let's You and Him Fight! 10. Popeye, Vol. 3: Let's You and Him Fight!